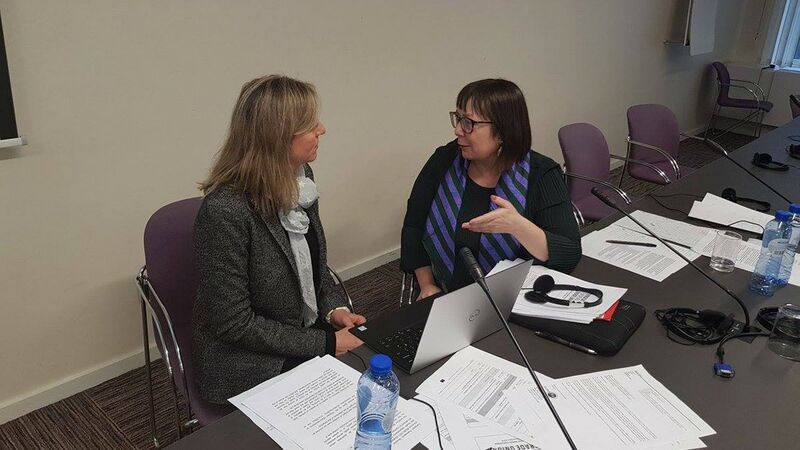 EuroCOP president Angels Bosch has attended the ETUC (European Trade Union) Health and Safety committee today, explaining the situation of police officers in Europe and the developments on the PETI committee. In her speech Angels explained how the developments on the PETI petition are positive. The petition will be open for a further six months, with the PETI committee president involving the EU-OSHA to evaluate the situation of police officers being out of the protection regulations in the EU. Angels hoped to introduce some different perspectives in her speech, including exclusions for police officers – especially relating to protective equipment, lack of health programs in hot spots and the need to have a list of professional diseases. It was agreed to lobby to help meet the demands of EuroCOP.